Glass beads are one of the most common and well-known types of beads used in creating jewellery. They are available in a huge range of colours, sizes, finishes and types meaning that they suit almost any design or style of jewellery. Glass beads can be made by hand or by machine and machine made beads are less expensive handmade. Although handmade glass beads can be very expensive compared to other beads, they have the additional quality of each one being unique. This means that even if you buy a set or the designer creates many beads, none will be completely the same and your designs will remain unique. Glass beads are long lasting and strong so can be used to make jewellery intended to wear everyday as well as pieces intended for special occasions. They are available in a wide range of colours and finishes including transparent, translucent, frosted, metallic, silver lined, matt and glossy. The wide variety in glass beads makes them easy to mix with other bead types well. Glass beads are also available with a range of hole sizes meaning they can be used on many different stringing materials or wire. Lampwork – This popular and old technique is used to create individually crafted beads in a variety of colours, textures and finishes. Each bead is formed in turn by melting coloured glass rods around a mandrel in an open flame, known as a torch. The mandrel size creates the beads hole and once the bead has been formed, glass in other colours, types and finishes can be added to create designs within the bead on raised above the surface. The finished beads are then cooled slowly in a kiln. Lampwork beads take a lot of skill and time to make well and so are expensive compared too many other bead types. 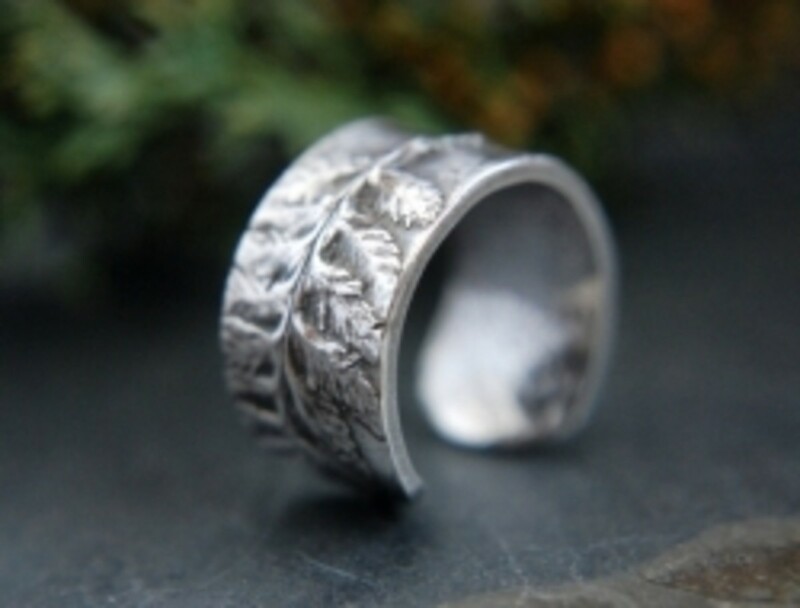 Many beautiful and unique designs are available to buy made by skilled artist all over the world. Murano glass beads – These high quality glass beads are made in Venice and like lampwork beads are a more expensive choice as they require a great deal of craftsmanship to create. Murano beads are available in a many colour combinations and often have small raised ‘bumps’ or other design elements. 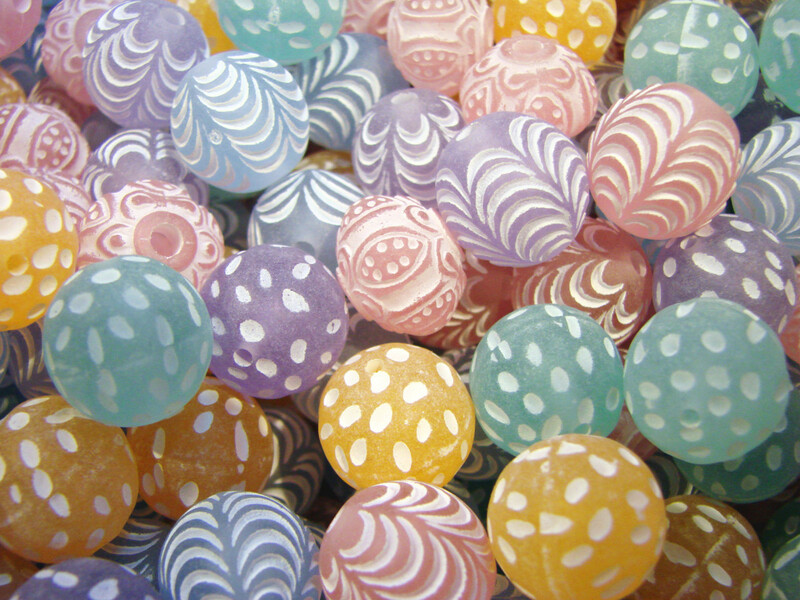 Hand-painted glass beads – These beads can be handmade or machine made and then decorated by hand. They can be bought in a wide range of sizes, shapes and designs. As they have been painted by hand the designs may vary a little but this can add a unique or quirky quality to designs. One disadvantage of these beads is that in some cases the painted designs can wear off if they are worn extensively or over a long period of time. Dichroic glass beads – Dichroic glass beads have a metallic finish and due to the micro layers of metals or oxides contained within the glass can appear differently depending on the light and which angle they are viewed from. 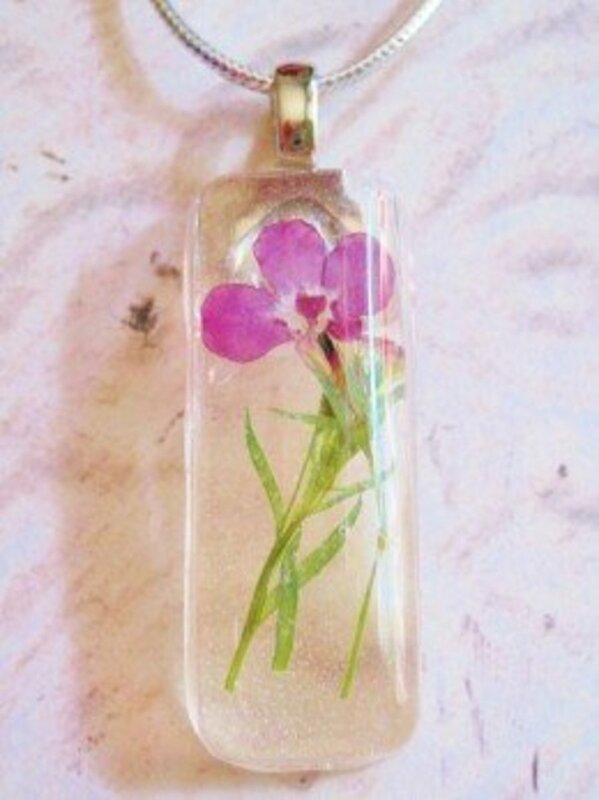 Dichroic glass pendants can also be purchased and both can be used to make very beautiful and interesting jewellery. Fused glass beads - Fused glassed is produced by placing pieces together and then fusing them together by heating them in a kiln until they form one smooth piece. Many unusual effects can be created using this technique as well as beads and pendants in a range of colours and patterns. 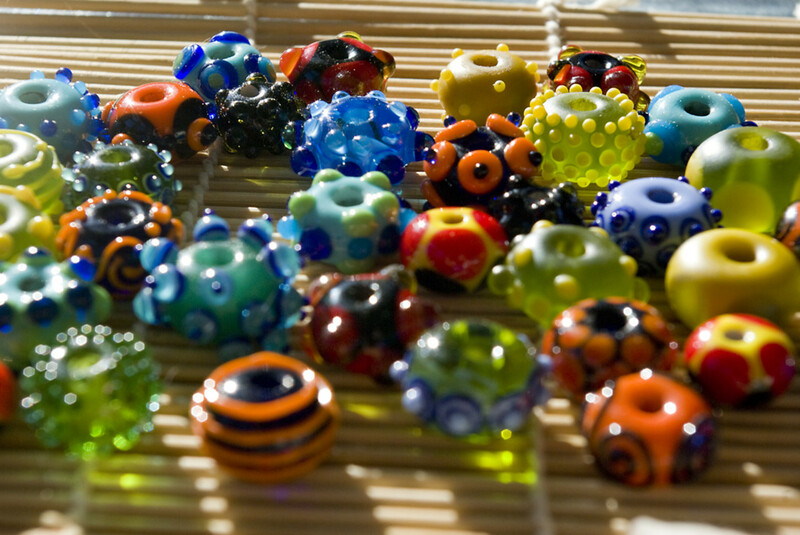 Millefiori glass beads – These beads are made using canes on glass similar to s stick of rock. The word millefiori is a combination of the Italian words ‘mille’ (thousand) and ‘fiori’ (flowers) so means ‘thousand flowers’. The beads can be bought in a variety of sizes, shapes and colours and with the slices arranged in many ways creating even more variation in the beads available. 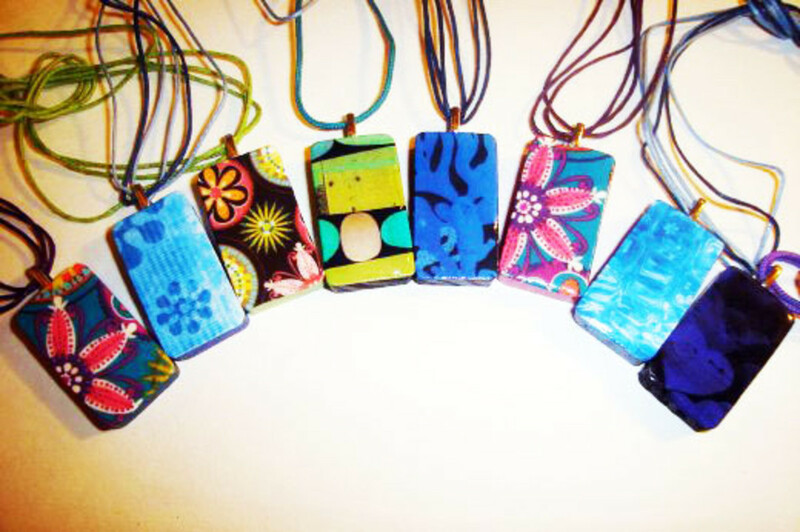 It is also possible to buy or create your own millefiori bead using polymer clay canes. Pressed glass beads – Pressed glass beads are made by pouring hot glass into moulds and are available in a great range of shapes, sizes and colours. This type of glass bead is generally cheaper than the handmade varieties but can sometimes be of poor quality, finishes may not be consistent and the holes maybe uneven and possibly rough on the edges. This can lead to damage or breakage of stringing cords and damage to other beads. Because of the huge variety of beads available these beads can be used it most types of jewellery making such as stringing, bead weaving, wire work/wrapping and fibre techniques such as knitting, crochet and macramé. Fire polished beads – This type of bead come in a range of colours and shapes. During creation they are formed using moulds or by being cut and then heated to very high temperatures in order to give them a very clean and glossy surface. This high heat treatment also melts ant visible seems and blemishes creating a smooth and consistent finish. Faceted fir polished beads are also available, the most popular being Czech fire polished beads. Fire polished beads are not as cheap as some pressed glass beads but more affordable than lampwork and other handmade beads. 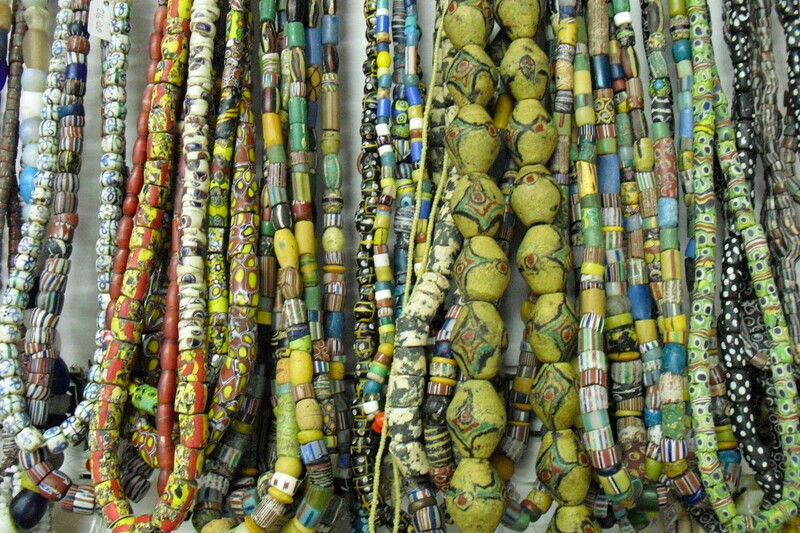 African glass beads – These beads are made from recycled glass. Glass is ground down into powder, melted and then fused again in to solid glass shapes. 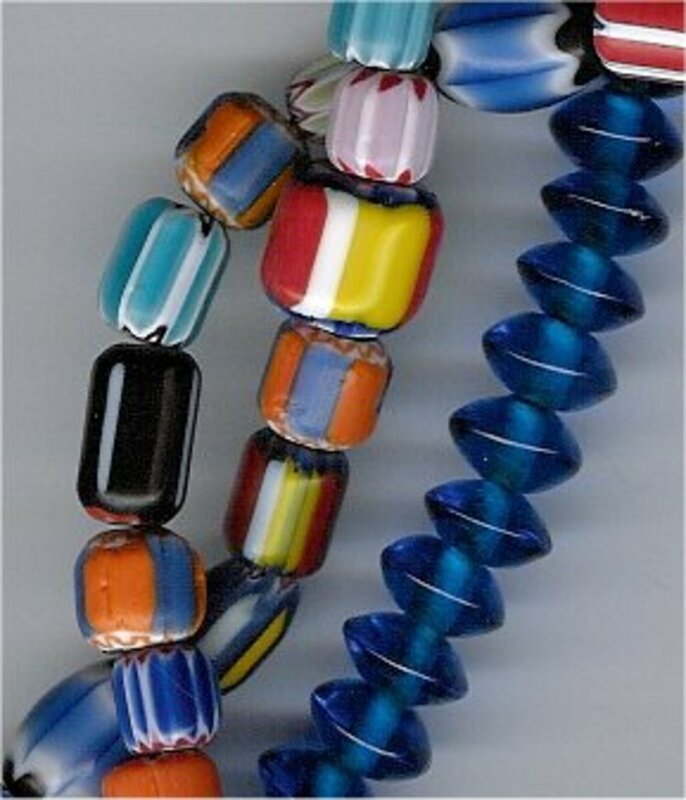 African glass beads can be more expensive than some other beads due to being handmade and come in a wide range of colours, shapes and patterns. In some cases the colours and patterning of the beads may have symbolic or community values. Thank you all for your kind comments. I use a lot of glass beads in my own jewellery making as there is so much variation, the possibilities are endless. 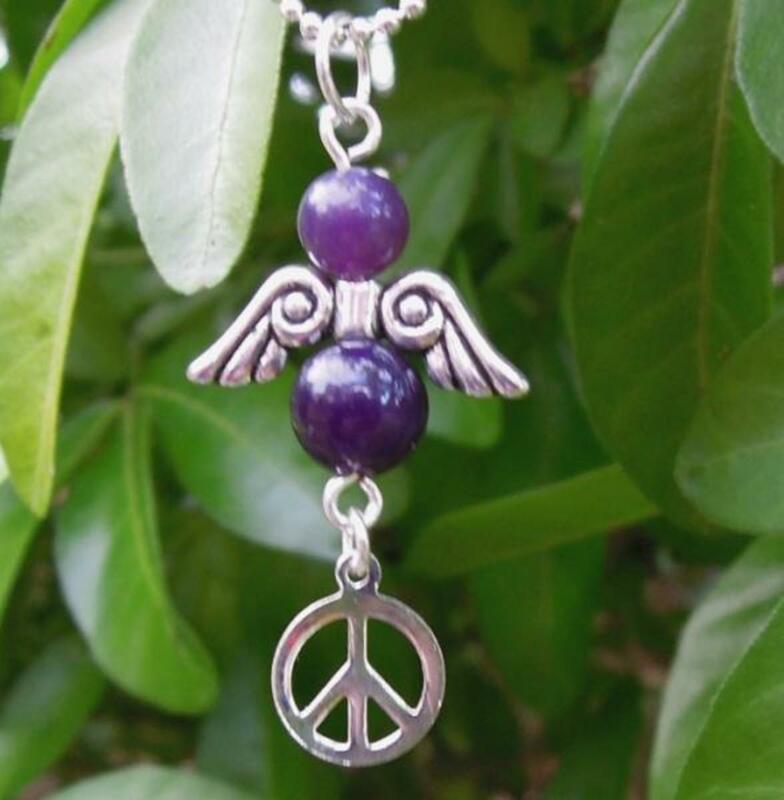 Hope your necklace is going well Starstream. What a colorful article explaining all the possibilities of bead selection. I enjoyed it and was inspired to start a new necklace. Thanks! Liked the information you shared here!! I also like jewelery made up of glass beads..voted up! Love love these. Every year for my birthday my daughter makes me the most amazing bracelets and earrings using these beads. I have some of the very ones you have shown and wear them with a smile on my face. Yes, I seen some beautiful designs as well. There is some gorgeous lampwork out there as well. I started collecting African Beads and found them to be expensive but so colorful, patterned, and you can find large beads to vary styling of a necklace. Enjoyed your hub.